Using medical marijuana as an affirmative defense and sentencing defense in Maryland | Jon Katz, P.C. My general analysis on Maryland’s medical marijuana sentencing defense — which law has been available since 2003 — is here and here. The statutory language for the affirmative defense that became available in md-2011 is here. – Marijuana must be likely to provide therapeutic or palliative relief for the ailment. 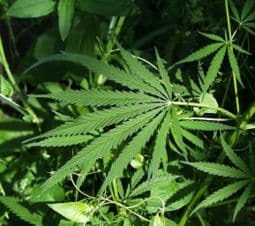 This affirmative medical marijuana defense is not available if the defendant was using marijuana in a public place or was in possession of more than one ounce of marijuana. Md. Crim. Cod § 5-601. For several years, I have been presenting medical marijuana defenses running from prosecutions for simple possession to prosecutions for cultivating dozens of marijuana plants, not only for obtaining medical marijuana dispositions, but sometimes also in an effort to obtain misdemeanor rather than felony convictions for multiple plant cultivation cases. Many times when raising a medical marijuana defense, I have worked with medical marijuana expert David Bearman and marijuana cultivation expert Christopher Conrad, whom I discuss here. Using the medical marijuana defense in Maryland for an affirmative defense and sentencing defense, and using the medical marijuana defense to try to avoid a felony conviction involves many detailed considerations that exceed what is covered in this blog entry. A qualified lawyer needs to be consulted to address the full details.